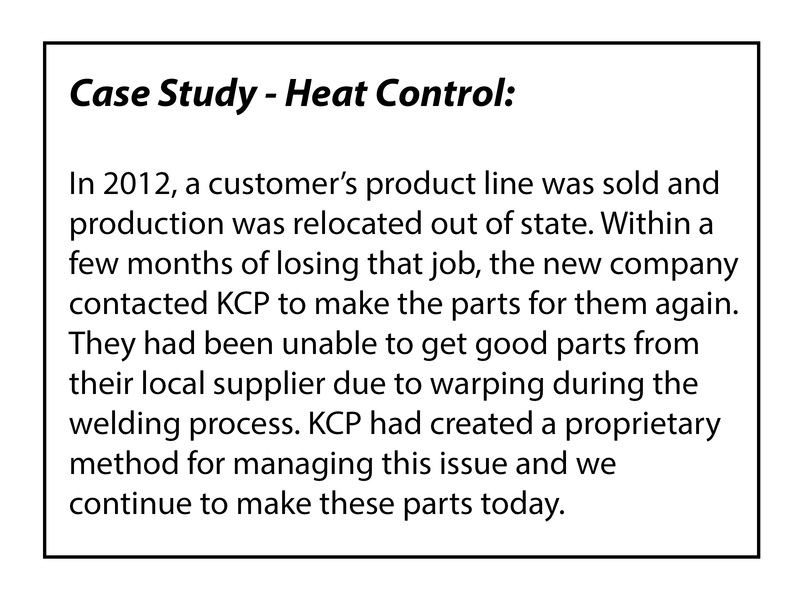 How We Do It | KCP Metal Fabrications, Inc. In a world where nothing stays the same, those that don’t change and adapt are left behind. KCP Metal Fabrications, Inc. is a Dynamic metal fabricator committed to staying on top of the latest technology so that we can provide the highest quality parts to our customers at the lowest costs. 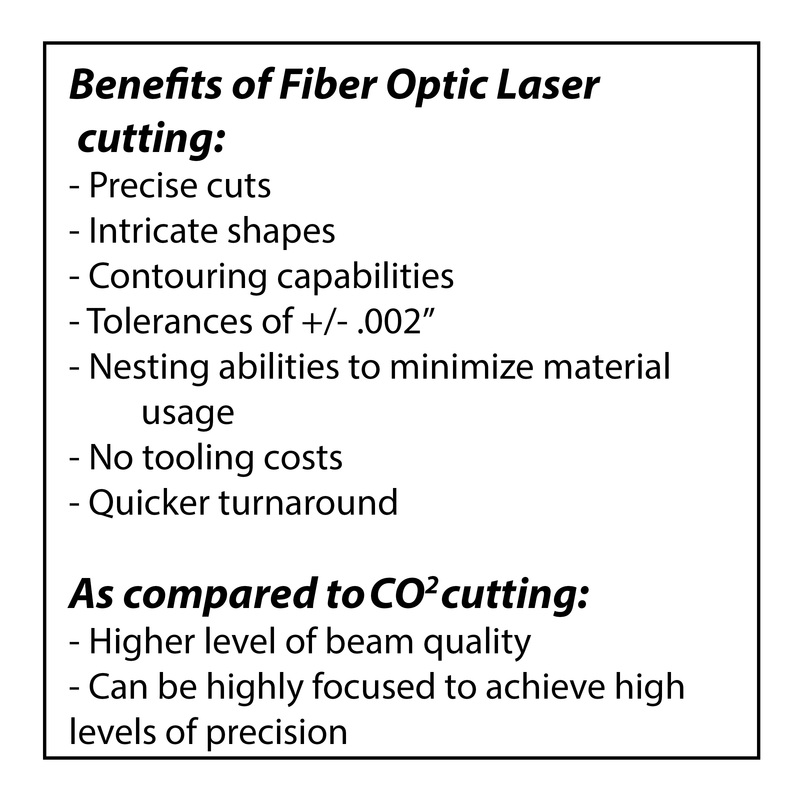 It is our Commitment to Quality that drives this process and was behind our entry into the revolutionary process of fiber optic laser cutting in 2012, at the early stages of its entry into the fabrication industry. We constantly strive to identify the next innovative technology to put on our floor to improve our processes. From the acquisition of our first CO 2 laser in 1989, KCP Metal Fabrications, Inc. has been perfecting the art of cutting parts with laser technology. With the addition of fiber optic laser cutting we have been able to refine that art even further. 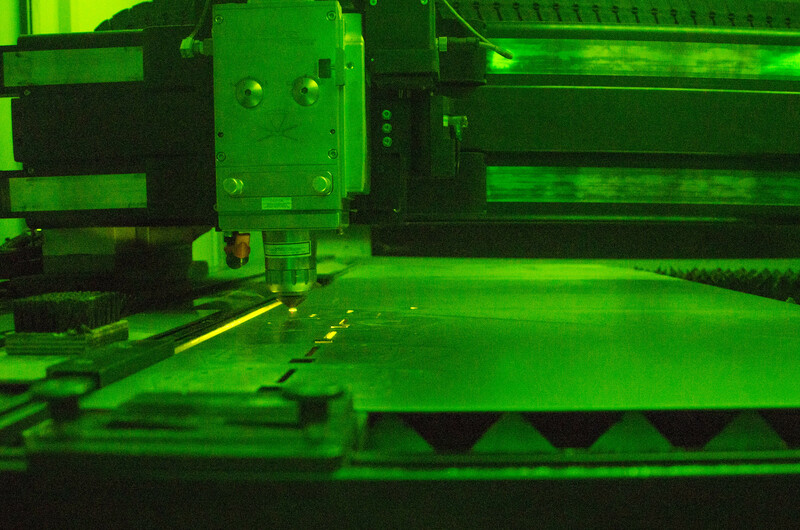 In order to optimize our laser cutting abilities, we employ a combination of laser technologies. A Cy 3000 watt fiber optic laser with a Tek Mag full material handling system provides the ability to run lights out, 24/7, maximizing productivity and minimizing costs. 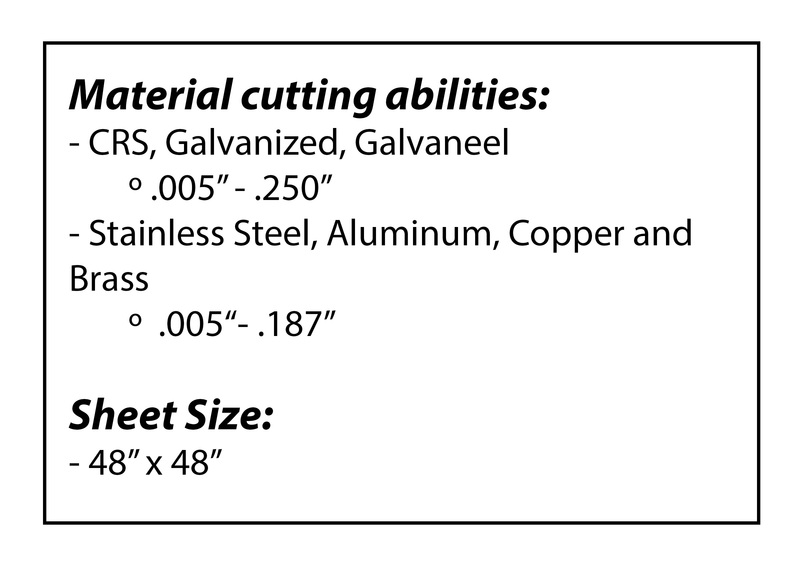 The addition of a nitrogen generator provides a cleaner cut and eliminates the need to remove carbon scale from the cutting process on steel and avoids discoloring on aluminum. Our new, state of the art, IPG 2000 watt fiber optic LaserCube expands our abilities to quickly turn around small runs and prototypes, while providing the utmost in precision and flexibility in the manufacturing process. 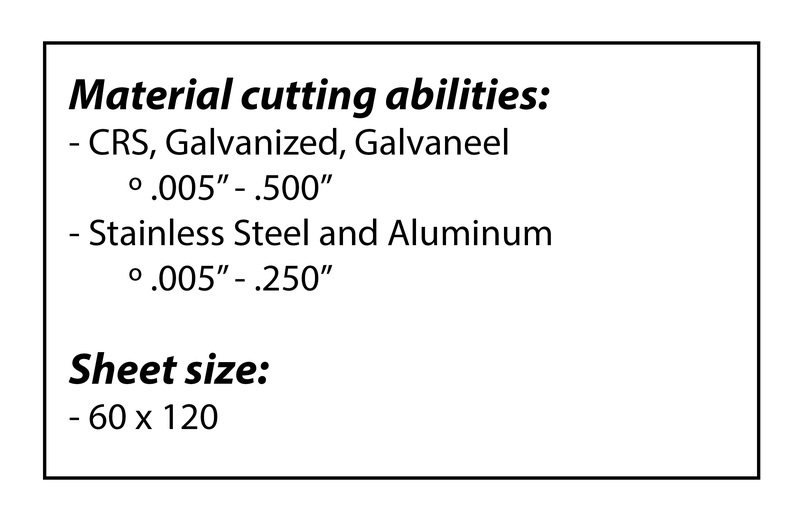 In addition, we continue to maintain our Mazak NTX Turbo Jr 1000 watt CO 2 laser that allows us to more efficiently cut up to .250” thick materials. While our lasers can produce a beautifully cut precision product, there are still products that are better served by our two CNC turret punch presses. 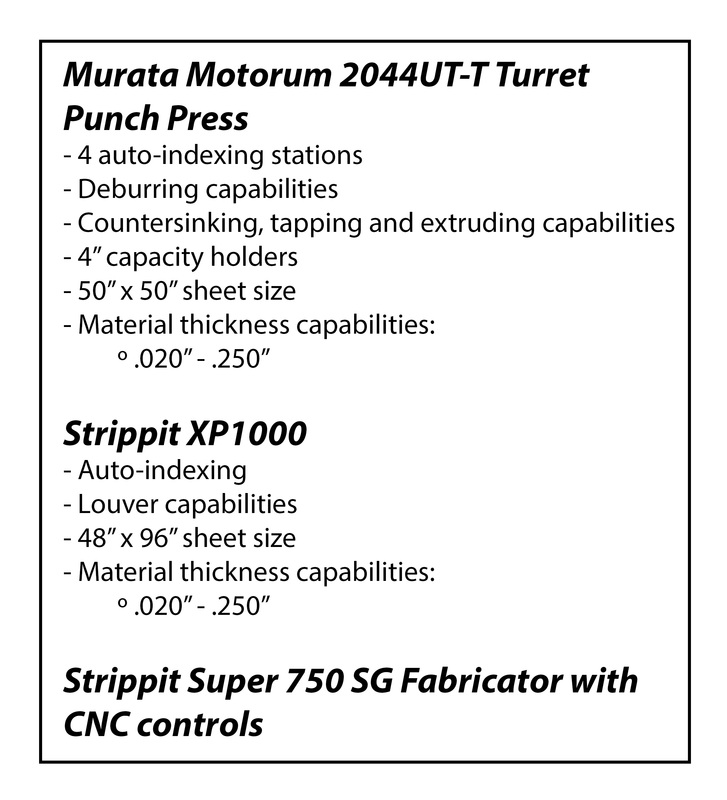 Our Murata Motorum 2044UT-T and Strippit XP1000 provide the additional abilities to countersink, tap, extrude holes, louver and deburr and part of the punching process. 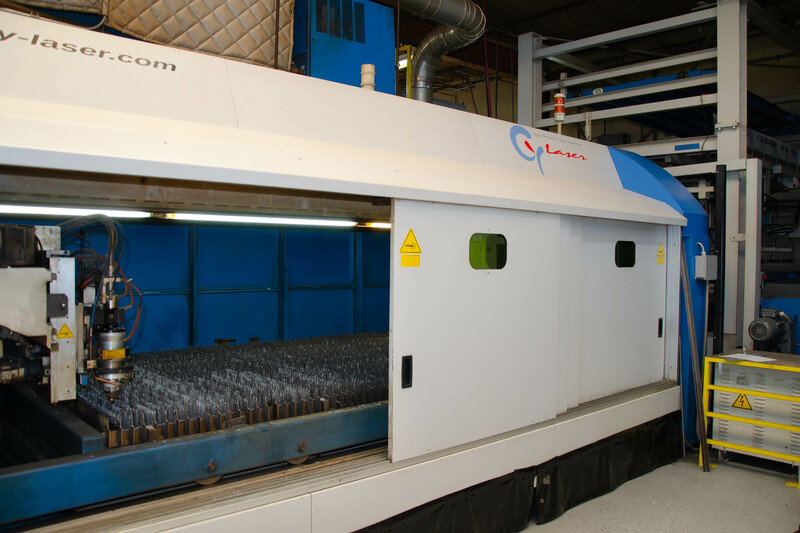 With these two machines and the hundreds of tools in a multitude of sizes and shapes we are able to fully support our laser cutting abilities to produce a broad range of sheet metal parts. 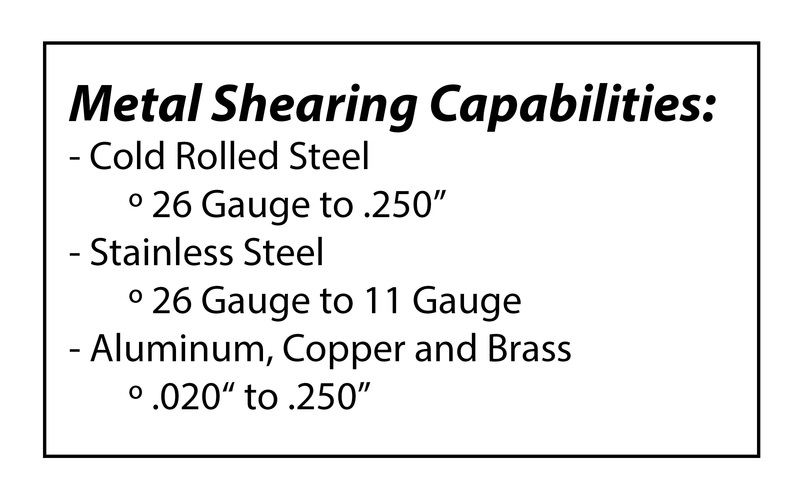 In order to support the various cutting processes, KCP Metal Fabrications, Inc. maintains shearing equipment with the capability to shear various metals up to 10’ lengths with a tolerance of +/-.005”. 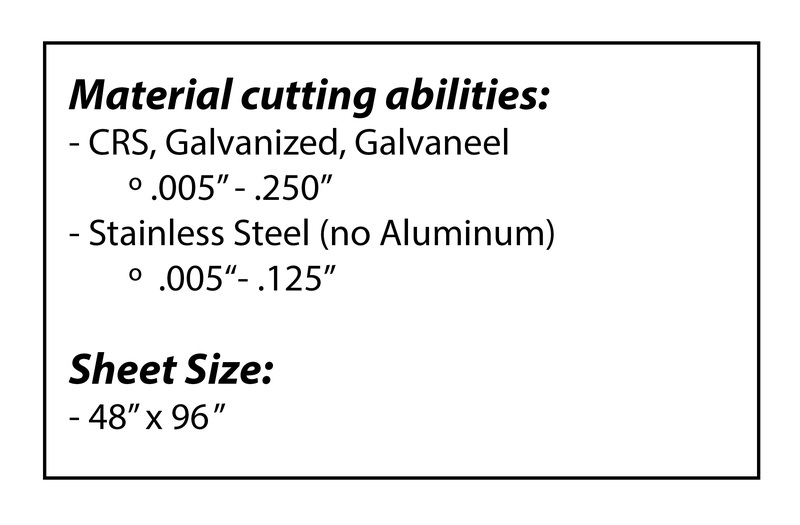 In addition, an Ironworker provides the ability to cut thicker metals, such as plate and angle stock. Fabrication of heavier gauges and longer lengths is accomplished through the purchase of material sheared to size from trusted suppliers with whom we have established long term relationships and who are strictly monitored for quality. CNC forming is the most critical process in metal fabrication. It is here that a part moves from a flat layout to a complex formed part with critical angles, radii and shapes. This process is developed based on the complex relationship between 3 basic elements; the material (type and thickness), the machine and it’s tooling. The key to a quality part is in the repeatability of this process. KCP Metal Fabrications, Inc. has an experienced team with combined total of __ years of experience in the forming process. 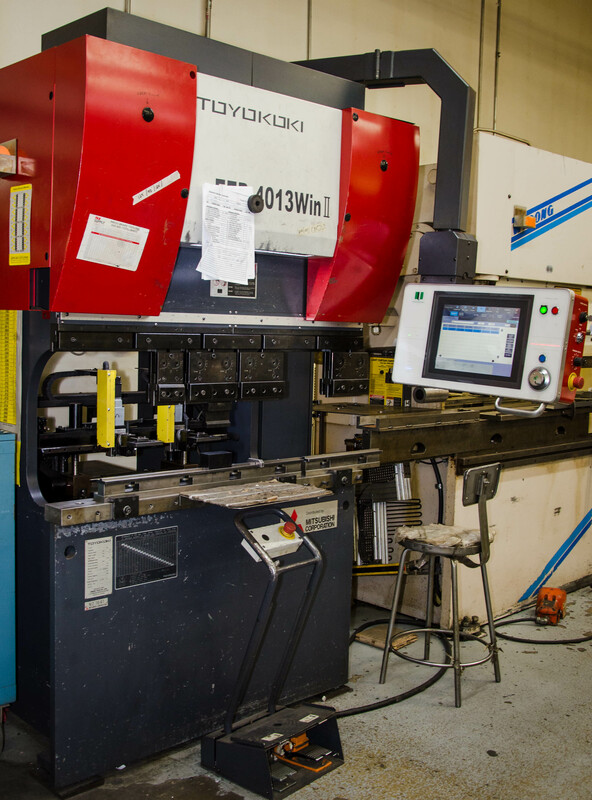 Coupled with the our diverse selection of press brake technology and our extensive inventory or tooling, KCP Metal Fabrications, Inc. can meet this challenge and provide our customers with high quality, repeatable fabrication of their parts. The welding process is not just about the capabilities of the equipment, but also the ability to develop the process in a sophisticated way to accomplish the most complex of joinings. KCP Metal Fabrications, Inc. prides itself on our ability to blend the technology of our equipment with the experience of our team to provide the most accurate welding of your parts. 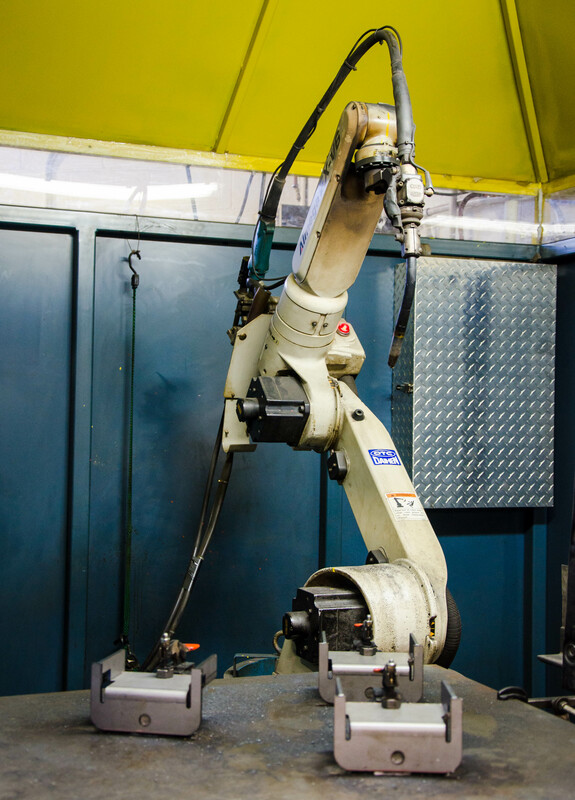 Through the use of our stand-alone manual welders integrated with the capabilities of our robotic welder and our spotwelders, we are able to handle your most critical welding needs. 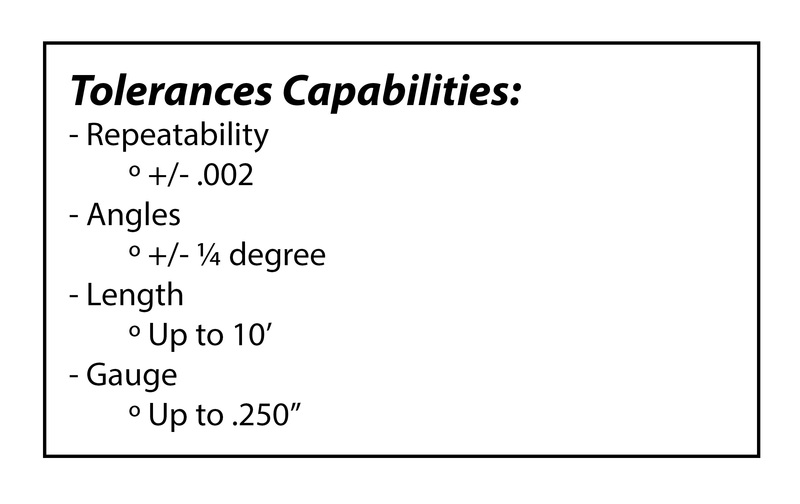 We have the capability for short run or prototype jobs to process square and rectangular tubing up to 11 gauge. 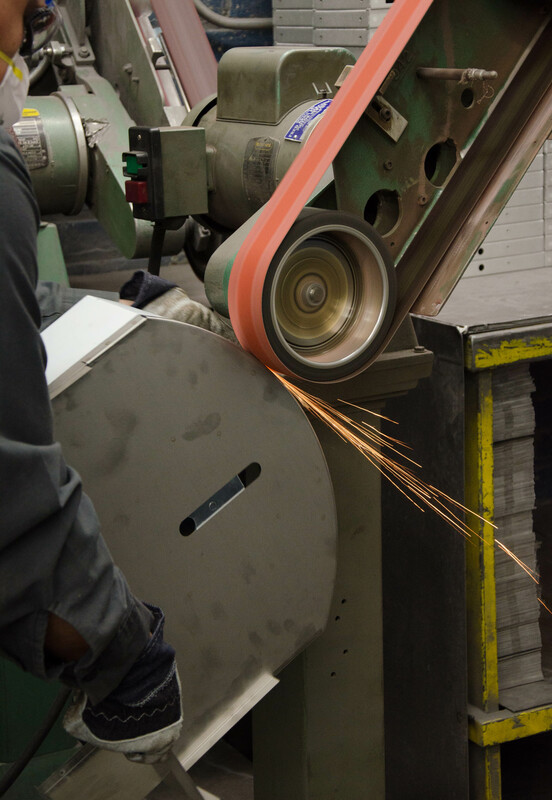 Our processes include cutting, welding, assembly and cutting holes in tubing. 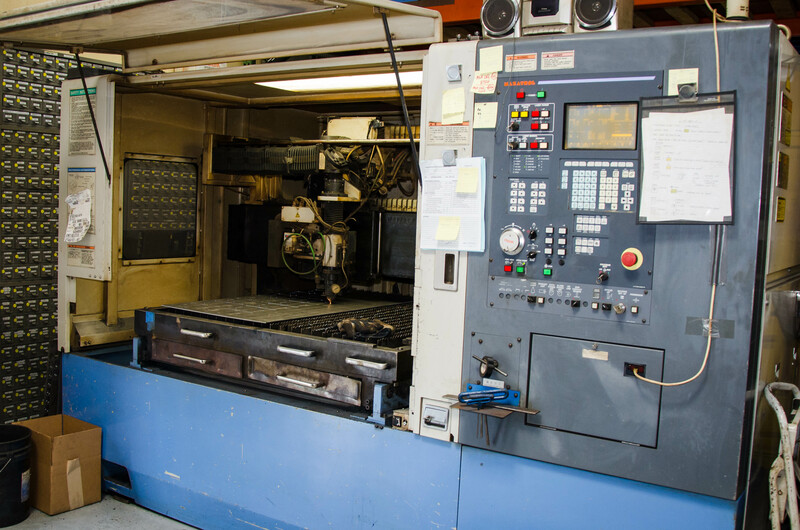 We maintain an assortment of machining equipment which provides us with the capabilities to run short to medium run milling production to complement our fabricating process, as well as to produce our own tooling and fixtures. 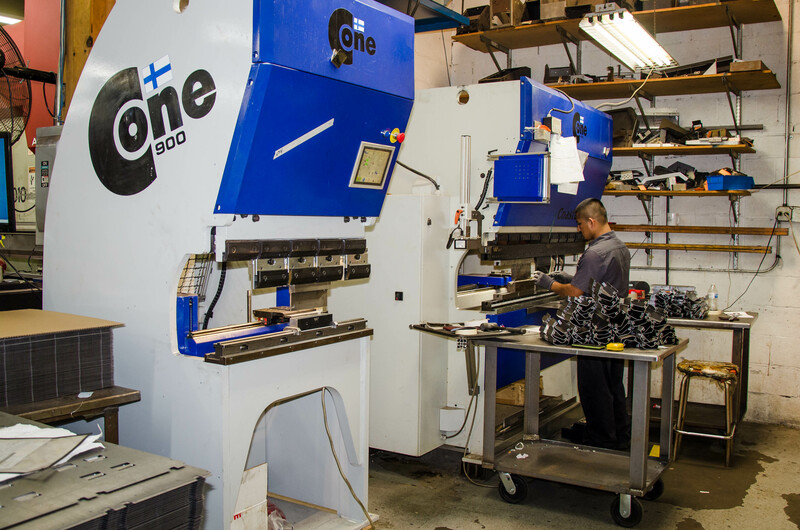 In addition, through established relationships with trusted vendors who are strictly monitored for quality, we are able to provide more extensive machining processes. 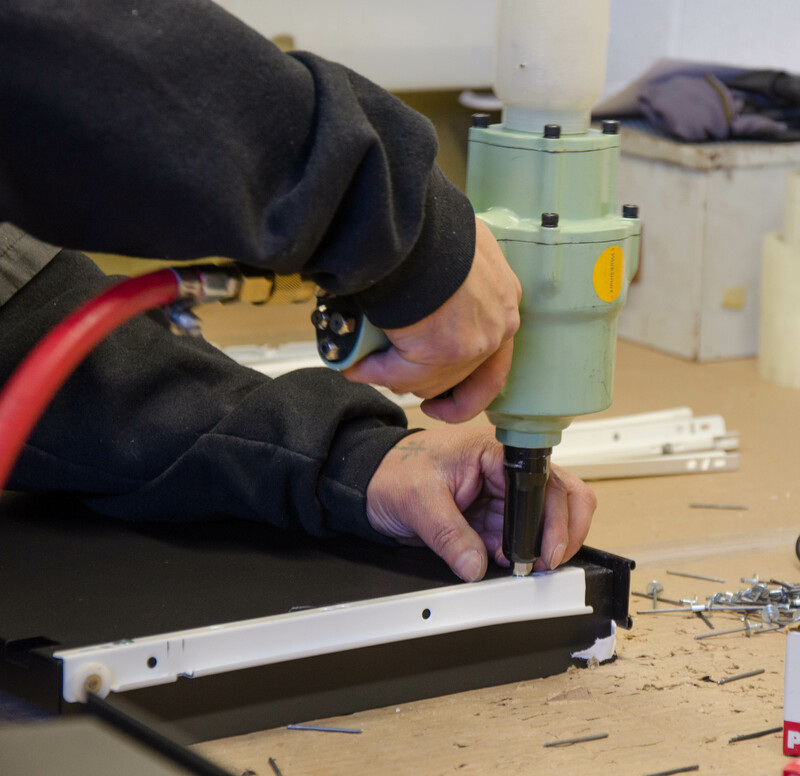 Assembly capabilities include everything from hardware insertion to complete assembly services to finished product in specialized packaging. Through the use of our automatic feed hardware insertion system we are able to insert up to four different fasteners in one handling. In addition we are able to provide an assortment of different levels of assembly from hardware insertion (Pems®, rivets, capacitor discharge studs and gasket stapling), to welding together subassemblies of component parts through final assembly, including packaging, ready for distribution to your customers. A vast majority of our parts are plated or painted or finished to customer specifications at an outside source. KCP Metal Fabrications, Inc. provides these services through the use of trusted vendors who are rigorously monitored for quality.